Federal health officials reported today that five people have died and 21 others have been hospitalized, including one resident of Utah, due to a listeria outbreak linked to caramel apples. Other states involved to date include Missouri, New Mexico, Minnesota, Texas, Arizona, Washington, California, Utah, and North Carolina. The CDC has warned consumers not to eat any pre-packaged, commercially produced caramel apples, including those containing other toppings such as nuts, chocolate, or sprinkles until more information is available. 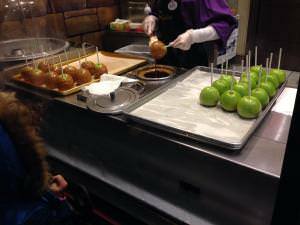 No illnesses related to the outbreak have arisen from apples that are not caramel coated or to caramel candy. Listeriosis is an infection that primarily affects older adults, pregnant women, newborns and people with weakened immune systems. Symptoms include fever, muscle aches, headache, confusion and convulsions. Only one case has been reported in Utah so far, but CDC officials have indicated that cases occurring after December 3 might not have been reported yet. The Faerber Law Firm, PC has experience handling cases of listeria and other food borne illnesses in Utah. If you believe you or a loved one became ill after consuming a contaminated product, please contact attorney Jared Faerber at (801) 943-1005 for a free consultation.